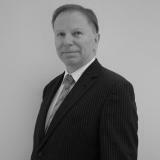 Charles is a Solicitor and the Senior Partner in the Firm. Charles qualified as a Solicitor in 1986 and specialises in Business Sales & Purchases, Business Law, Commercial Property matters, Residential Conveyancing, Trust Law and Wills, Powers of Attorney and Probate matters. Away from the office Charles is a motorsport enthusiast and enjoys spending his free time with his family and his young Grandchildren. Gavin is a Solicitor and Partner in the Firm. 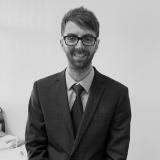 Gavin joined the firm in 2007 as a Trainee Solicitor and since qualified as a Solicitor in 2010. Gavin specialises in Wills, Powers of Attorney and Probate matters, Residential Conveyancing, Residential Landlord and Tenant matters. Away from the office Gavin enjoys tennis, motorsport and spending time with his wife and 2 young children. Dawn is a Partner and Solicitor in the firm having joined in 2018. 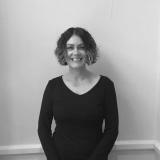 Dawn qualified as a Solicitor in 2006 and specialises in Wills, Probate and Powers of Attorney working at both our Eastwood office and Ilkeston office. Away from the office Dawn enjoys spending time with her young family. 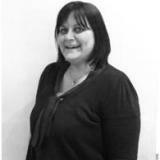 Zoe is an experienced Conveyancing Executive with our Firm. 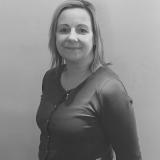 Zoe has extensive experience in Residential Conveyancing including property Sale and Purchases, Remortgages, Transfer of Equity, Buy to Let, Leasehold transactions. Zoe is based at our Ilkeston office and joined the firm in 2016. 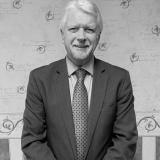 Geraint is a Solicitor and Partner in the Firm. 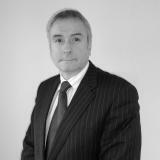 Geraint qualified as a Solicitor in 1986 and joined Charles Newton & Co in 2010. Geraint specialises in Family and Matrimonial Law including divorce, financial and children issues, cohabiting couples, Personal Injury, Debt and Money advice and Employment Law. Geraint is a member of Resolution. Away from the office Geraint enjoys taking long walks by the River Trent (and elsewhere) and regular visits to the Theatre. Rae is the Firm’s Account Manager and joined the firm in 2018. Rae has gained a wealth of experience over the years working for various large Law firms. Carol joined Charles Newton & Co Estate Agents in 2016 following a successful property career with a range of estate & letting agencies . Carol manages our Ilkeston Estate Agency office along with Gayle and is on hand to provide property valuations and her expertise on the property market. Away from the office Carol enjoys spending time with her young family and friends. Michelle is a Legal Secretary at the Firm and joined Charles Newton & Co in 2015. Michelle works alongside Charles Newton and transcribes all of his dictations, arranging appointments and is one of the first point of contacts within our Firm. Away from the office Michelle enjoys caravan breaks and spending time with her Family. Lorraine is the Firm’s Receptionist and a Legal Secretary at the Firm. Having joined Charles Newton & Co in 2002 Lorraine works alongside Gavin Newton and Shona Carmichael, transcribing their dictations, arranging appointments and is one of the first point of contacts within our Firm. Away from the office Lorraine enjoys reading, walking (lots! ), visiting National Trust properties and spending time with her friends. Lyn is the Firm’s Practice Administrator and deals with the general administration, archiving and other administrative responsibilities to ensure the business runs like clockwork. Away from the office Lyn enjoys reading and spending her free time with her family, in particular her young grandchildren who certainly keep her fit with all their energy and enthusiasm. 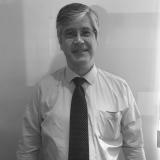 Paul is a Director and Branch Manager of our Eastwood and Ilkeston Estate Agency offices. Paul joined Charles Newton & Co Estate Agents in 2007 when the first Estate Agency branch opened in Eastwood (Nottingham) following a successful Marketing career with a large blue chip company. Paul manages both Estate Agency offices and is on hand to provide property valuations and conduct the viewings requested through both branches. Away from the office Paul enjoys spending time with his family and taking short breaks with his friends. 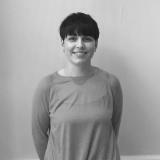 Georgina is a Property Sales Negotiator at our Eastwood Estate Agency branch. Georgina joined Charles Newton & Co in 2014 and is often the first point of contact for clients at the Eastwood Estate Agents branch. Andy is a dedicated Assisted Viewer and works at both our Ilkeston and Eastwood Estate Agency branches. Andy joined Charles Newton & Co in 2014 and provides the grand tour of our clients properties for sale across both of our Estate Agency branches. 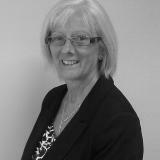 Lynne is a Sales Negotiator at our Eastwood Estate Agency branch having joined the firm in 2016. Lynne is one of the first points of contact for clients at the Eastwood Estate Agency branch and deals with enquiries, valuation appointments, viewing requests, draft marketing details and general administration. 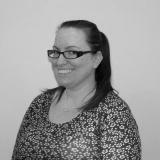 Amy is based at our Ilkeston office as a Receptionist. Having joined Charles Newton & Co in 2018 Amy works alongside Zoe Flower in the Conveyancing department and is one of the first point of contacts within our Firm. 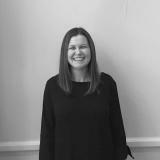 Conveyancer Emma is based in the Firm's Conveyancing department specialising in property Sale and Purchases, Remortgages, Transfer of Equity, Buy to Let and Leasehold transactions. 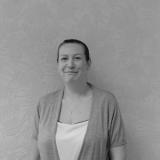 Emma is based at our Ilkeston office as a Receptionist and Legal Secretary. 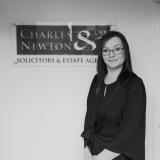 Having joined Charles Newton & Co in 2016 Emma works alongside Zoe Flower in the Conveyancing department and is one of the first point of contacts within our Firm. Ann is an experienced Legal Secretary at the Firm having worked for Charles Newton & Co at different times during her life for many years . Ann works alongside Charles Newton and Geraint Williams and assists in transcribing their dictations, arranging appointments and is one of the first point of contacts within our Firm. 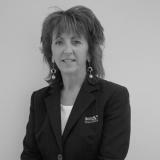 ﻿﻿Gayle is a Property Sales Negotiator at our Ilkeston Estate Agency branch. Gayle joined Charles Newton & Co in 2013 and is often the first point of contact for clients at the Ilkeston Estate Agents branch. In her spare time Gayle enjoys spending time with her family. Shona is an experienced Conveyancing Solicitor with our Firm. 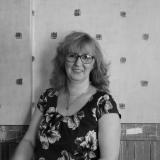 Shona has extensive experience in Residential Conveyancing including property Sale and Purchases, Remortgages, Transfer of Equity, Buy to Let, Leasehold transactions. Shona is based at our Eastwood office and joined the firm in 2018.